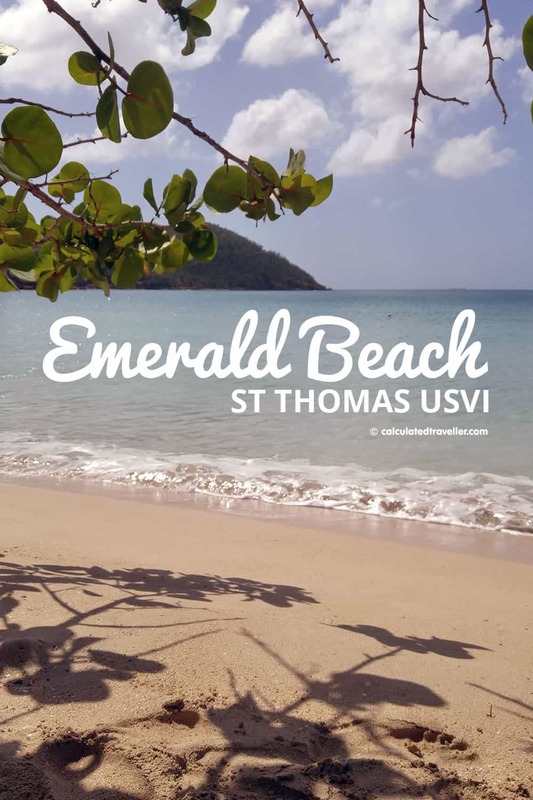 Unexpectedly quiet with just the sound of the surf and the occasional car or plane is how we spent the day at Emerald Beach in St Thomas USVI. 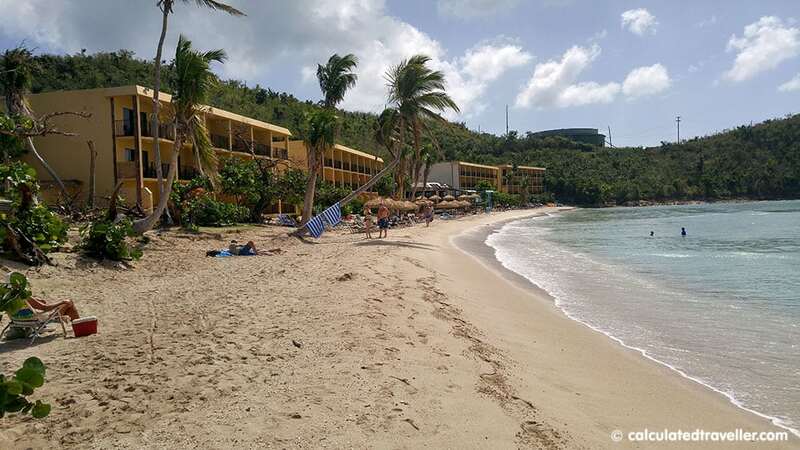 You see, Emerald Beach is not your usual spot for a sunny day in St. Thomas. We usually make our way over to Sapphire Beach. 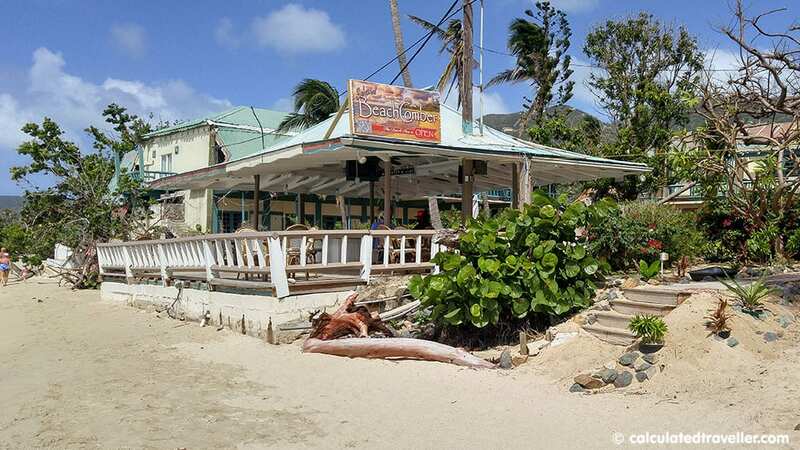 But today, the waves are high — a reported 3 foot swell as told to us by the folks over at the Havensight USVI Tourism Office. Yesterday there were high winds and rain, so I’m not surprised. 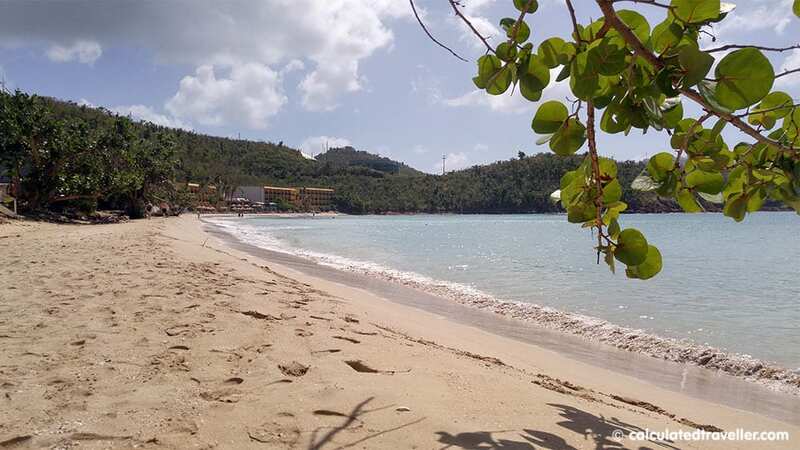 It was suggested to us to go to either Magen’s Bay or Linquist Beach (both which carry a $5US admission fee per person) or Emerald Beach (free admission) since all three are protected bays. Always up for experiencing something new (and inexpensive) we decided that Emerald Beach was it! 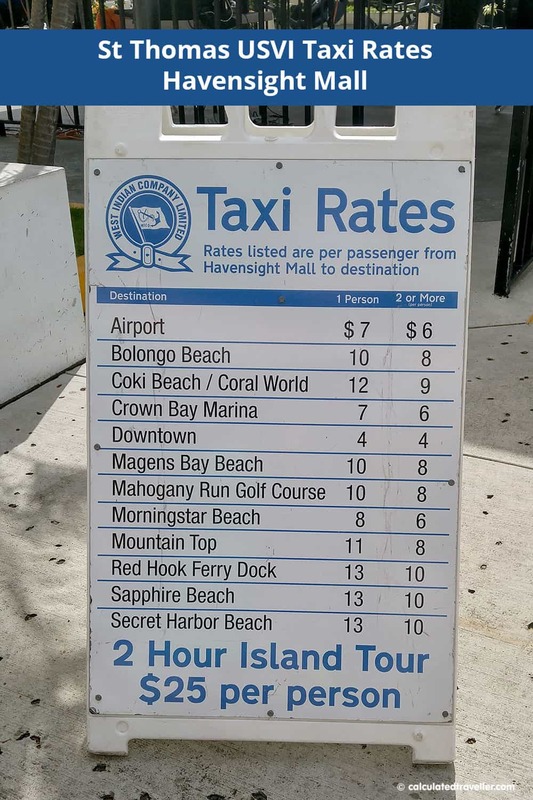 Located near the airport on the other side of the Crown Bay cruise ship terminal, we found a cab and set off for the beach. From Havensight Mall to Emerald Beach, the taxi ride is $6US/person each way. Taxi stands are throughout the mall. From Crown Bay cruise terminal the taxi ride is $4US/person each way. At Crown Bay, the taxi stand is at the front entrance of the terminal. There is a resort on the beach aptly named Emerald Beach Resort, and the taxi will drop you at the entrance. Just walk through the resort towards the beach. As per our norm, we walked away from the resort crowds in search of a place to lay down our beach towels with some shade and solitude, and we found it. Usually, the water should be calmer, but as you can see from the video the waves are still a bit rough, but at least you can get in the water. Just be careful of the undertow. The water also wasn’t as clear as it usually would be in St. Thomas based on previous experience. Since we are out next to the airport, I expected it to be noisy, but we didn’t hear much of anything except the occasional car engine on the road one prop plane and one helicopter. Most people stayed closer to the resort and only came in our direction when they are strolling the beach. 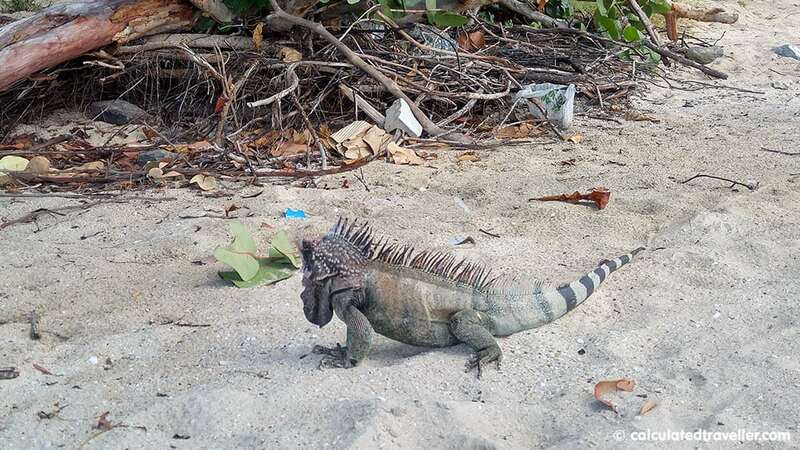 Our only neighbour was this harmless iguana. Total cost for the day at Emerald Beach was $24US for two people. At Emerald Beach in St Thomas USVI, we relaxed in the shade and played in the blue Caribbean waters. It was a great day on the island. Have you visited St Thomas USVI before? What beach do you like to visit?